My People’s Market showcases the local entrepreneurial community’s commitment to equity and inclusion. 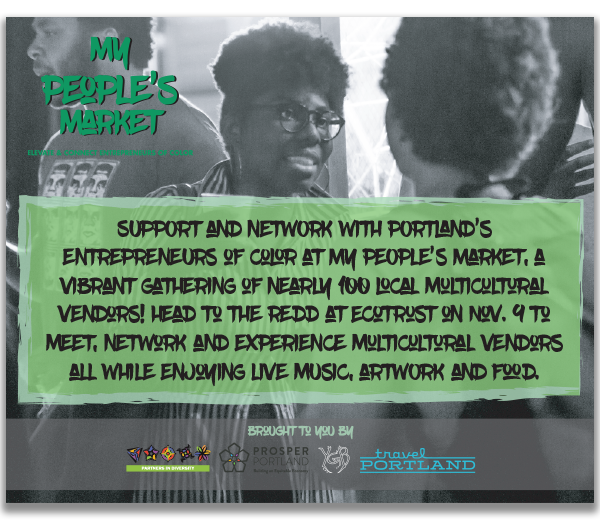 A collaborative event between Travel Portland, Partners in Diversity and Prosper Portland, My People’s Market is aimed to advance opportunities for business owners of color, connecting them with the travel industry and other professionals who can help to expand and scale their businesses. This event is one of a series of connection opportunities for the Mercatus platform and Inclusive Business Resource Network of Prosper Portland.